Jaga Oxygen is an energy efficient, intelligent and fully programmable heating and ventilation solution which creates a healthy and comfortable indoor climate in buildings of any age or type. Well suited for rooms with high occupancy such as classrooms, offices and care homes, Oxygen delivers clean healthy, fresh air on demand and in a highly energy efficient way. 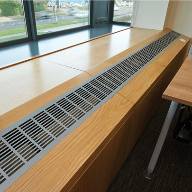 Jaga have dedicated specialists who work closely with design teams throughout the design and construction process to ensure that the best solution is specified, manufactured, installed and commissioned for every project. The company adapts their solutions to ensure that they meet relevant design requirements to ensure the correct IAQ (Indoor Air Quality) levels are met as well as being sympathetic to the design of the building or its refurbishment constraints. 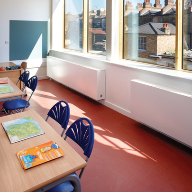 Jaga also offer a range of styles to complement design schemes from robust, safe to touch wall-mounted radiators, trench and perimeter heating, or vivid, bespoke-coloured radiators that bring visual stimulation to any learning zone. 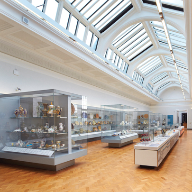 Whatever the size of the project or the specific duties required, Oxygen demand-controlled heating and ventilation is designed to meet differing needs for optimal indoor air quality, and when twinned with Jaga's award  winning low mass and LST radiators it is proven to reduce heating bills.